Pollution is taking a toll on our daily lives. And when the problem is escalating day by day, and the chemical cosmetics that we use becomes of no use, then once again we look into our roots. 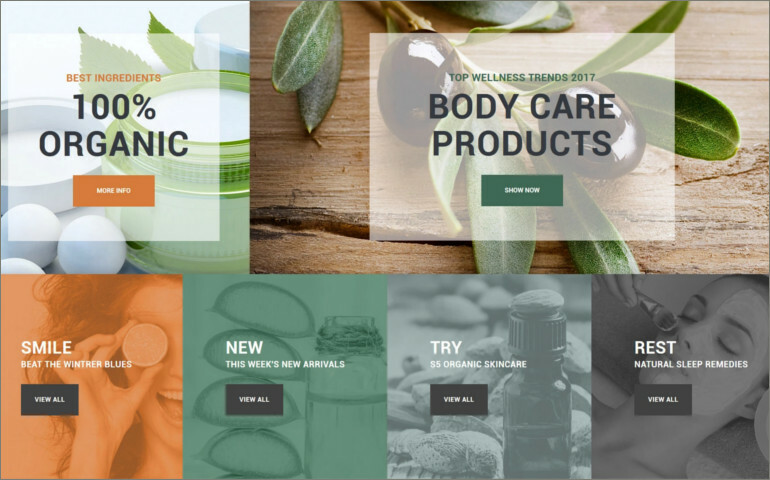 Once again the organic cosmetics are becoming popular, owing to their little or no harmful side effect and skin damage. 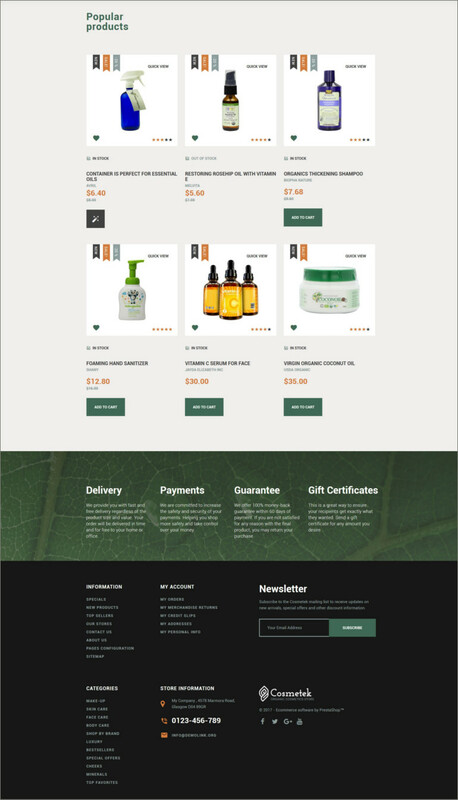 Now if you are into organic cosmetics business, then to broaden your business you would definitely need a website in accordance to your specific needs. Cosmetek is a unique template convention to take care of your needs in a way that you want. The entire system of the website is suitable for your trade and is extremely user-friendly.